It’s the day of Thor. Where’s my hammer? Here are the Rumblings. There is no way that a game in late February should feel like a must-win. But this game almost has that feel. Not necessarily for anything regarding the Thunder’s record or seeding. But more to get the bad taste of the last week out of our collective mouths. A week long All-Star break followed by losses against two top 5 teams in the next week. 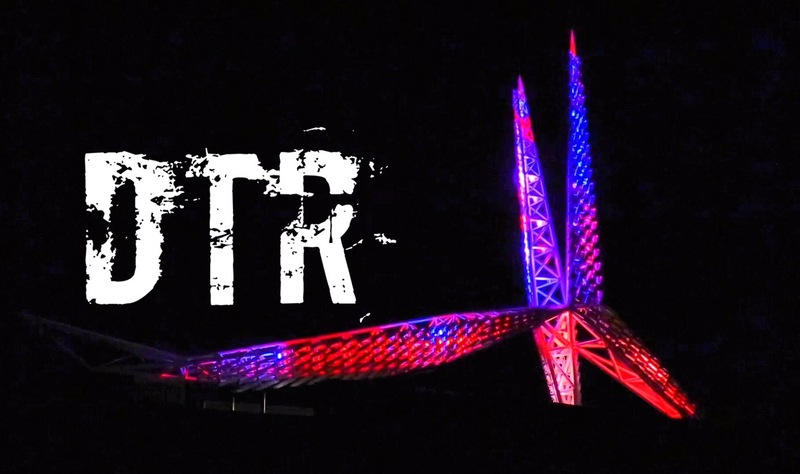 Thunder nation has not seen a notch in the win column in two whole weeks. Going that long between victories usually involves an offseason for the Thunder. 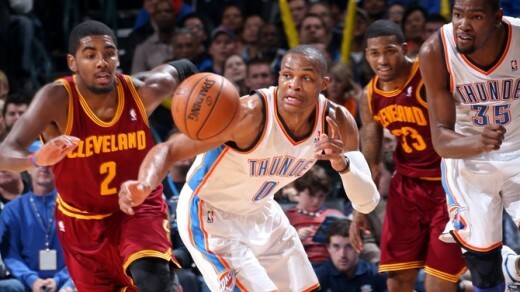 The Cleveland Cavaliers have an almost Washington Wizards-like relationship with the Thunder. 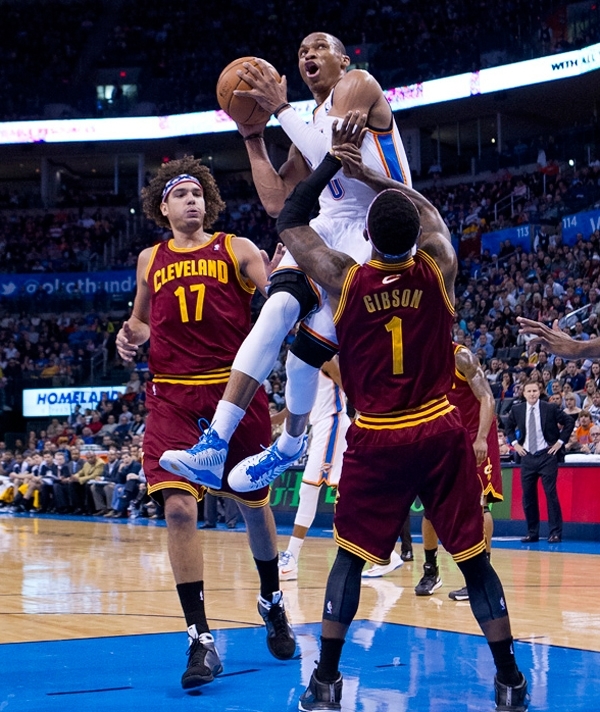 It’s a game that the Thunder should win easily, based on record. But every time Oklahoma City plays Cleveland, it turns into a dog fight with somebody on the opposing team (Kyrie Irving, Tristan Thompson, etc) going off. This is the first meeting of the year between these two teams. The teams split the season series last season. 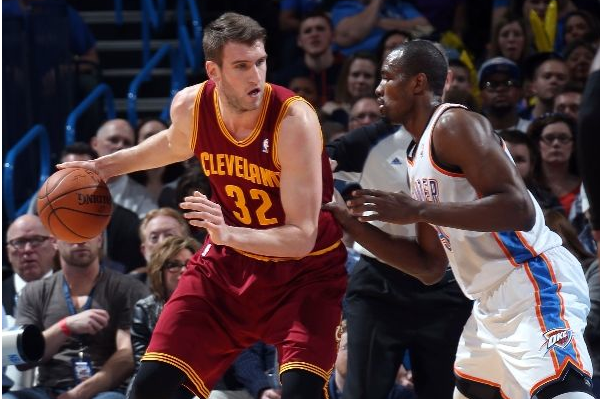 Due to their streaky nature, Cleveland is an extremely difficult team to gauge. 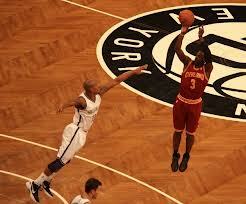 Their record currently stands at 22-36, which puts them 5 games back of the 8th seed in the Eastern Conference. In their last 15 games, the Cavs have lost 6 games in a row, then won 6 games in a row, and are currently on a 3 game losing streak. Some days they look like they can be righting the ship and other days they look like they should be tanking for a high lottery pick. 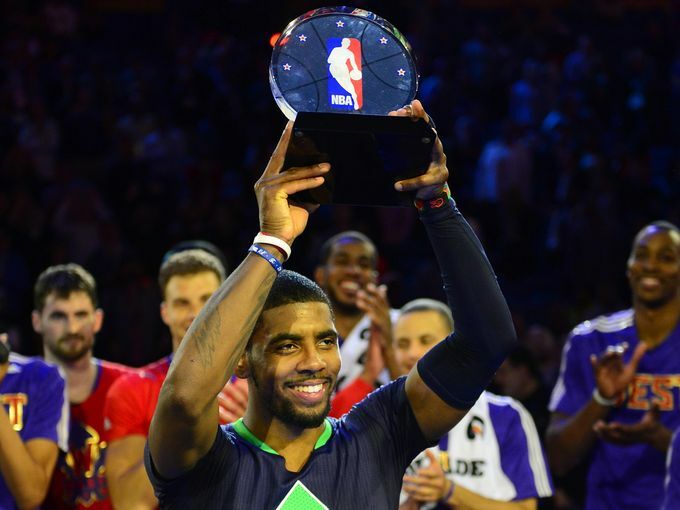 The Cavs are led by All-Star Game MVP Kyrie Irving, who is currently averaging 21.2 points, 6.3 assists, and 1.3 steals per game. His ability to get into the paint is the key to Cleveland’s attack. On the wing, mid-season acquisition Luol Deng has yet to find his footing on this team, and his numbers have dropped since his trade from the Chicago Bulls. 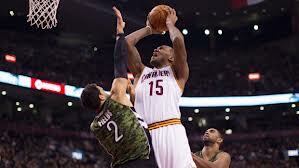 Up front, Tristan Thompson has shown signs of being a double/double machine, but has had trouble with consistency. Spencer Hawes, who was recently picked up from the Philadelphia 76ers, provides a great release valve for the pick and roll attack of Irving. 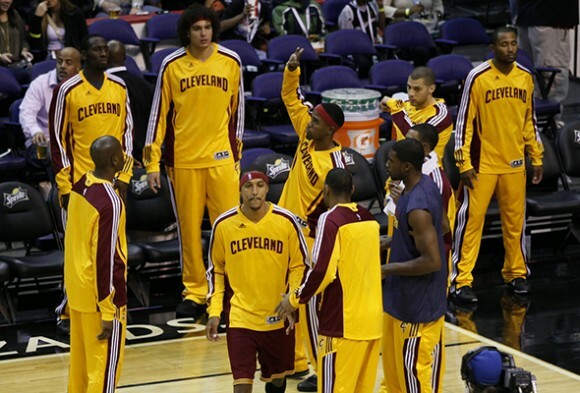 Cleveland’s bench depth will be impacted as Anderson Varejao, CJ Miles, Dion Waiters will all be out with injury. 1. 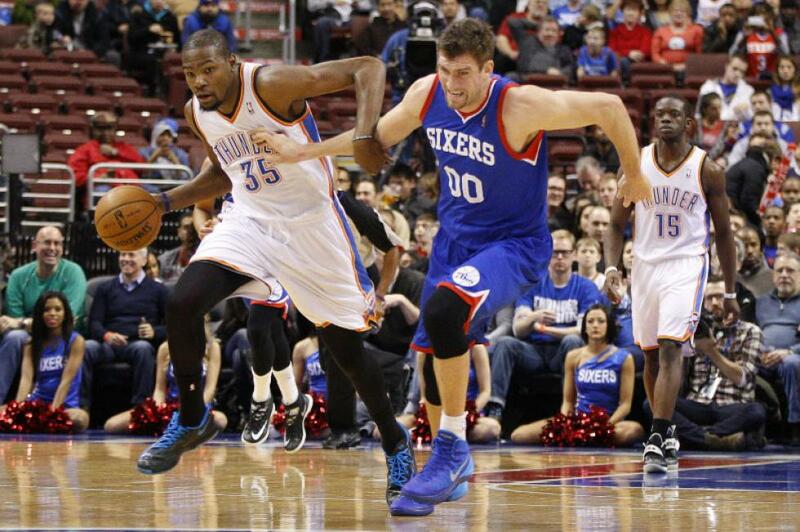 Small ball – Spencer Hawes is a perimeter oriented center. While Steven Adams may be more mobile than Kendrick Perkins, having to guard a perimeter oriented center completely negates his strengths on the defensive end. The Thunder will probably be best served going small for most of the game and having Durant guard Hawes on the perimeter and having Ibaka guard Thompson on the inside. 2. 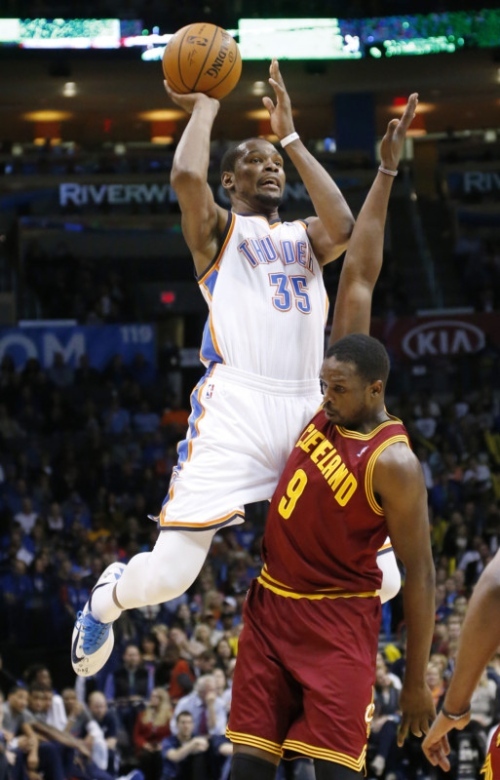 Depth – With the Cavs’ depth being decimated by injuries and this being the 2nd night of a back to back, look for the Thunder to get out in transition and try to wear the Cavaliers out. Even if Cleveland keeps it close, this could be a game where they run out of gas late in the fourth quarter. 3. Point guards – More than anything, the Thunder point guards (Westbrook, Derek Fisher, and Reggie Jackson) need to establish themselves defensively. Irving is the only player on the Cavs’ squad that can create his own shot consistently and he has beaten the Thunder in the past.